More usefully, the flyer also notes the parties start at 10 p.m., and the cover charge will be $40. As always, the who, what and how are not clear performance-wise. Prince played lengthy sets three weekends in a row last month with a new configuration of backing musicians that also includes 3rdEyeGirl guitarist Donna Grantis, drummer Kirk Johnson and saxophonist Adrian Crutchfield. However, over three nights on Labor Day weekend he similarly charged $40 and billed it as a dance party, but he never really performed. He did perform at the prior Paisley pajama parties back in 2013, when he hosted an early-morning brekfast jam with 3rdEyeGirl complete with Dave Chappelle-worthy pancakes. Friday's party will coincide with a special broadcast of a 20-minute medley/mash-up of his hits on 89.3 the Current dubbed "Crazy 2 Cool," which was recorded live in Paris last year and can be heard at 5 and 10 p.m. Central Time. 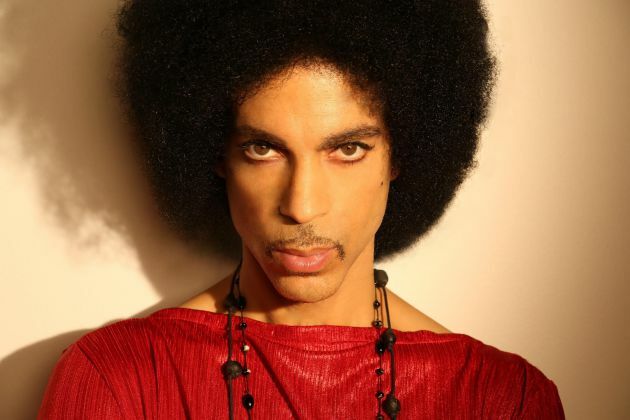 For Saturday's shindig, he's promising to play a new recording of a live acoustic performance, "Oui Can Luv," starring his protege Andy Allo and featuring Prince on guitar. The latter will also be available for streaming on Tidal.